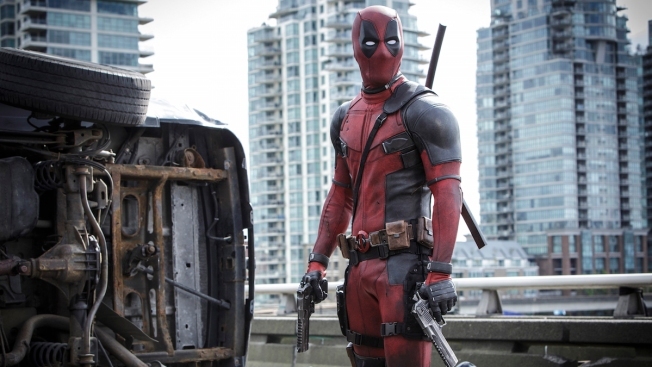 After breaking records at the box office over the weekend, there’s only one logical place Deadpool would go next…. Saturday Night Live? That’s the hope of thousands of fans who have signed a petition asking the show to have to the hilarious and vulgar character host an upcoming episode. “How would this not be hilarious having Deadpool in sketches, breaking the 4th wall, and inserting some of his brand of humor (obviously toned down a bit for network television),” the page on Change.org reads. The petition was started by Andrew Stege, of Matteson, Illinois and calls on Lorne Michaels, Saturday Night Live, Ryan Reynolds and NBC. It had already garnered more than 36,100 signatures as of Thursday afternoon, with a goal of 50,000 signatures. While having Deadpool host the show would provide some undoubtedly funny moments, Stege points out that’s not the only advantage. “Depending on the musical guest, how awesome would it be to have some Deadpool interpretive dancing while the musical guest was playing? There's unlimited possibilities!! !” he wrote on the page.